Rock music has been a staple of the musical genres for years and years. Many people have made attempts at becoming a rock and roll band, and many people have fallen short. Others, however, have made their legacy in the rock and roll genre and changed the entire face of music. Some bands have influenced entire generations of sound. Those are considered the best of the best, and no one can deny that they have made more musical strides than anyone else. There’s always been some debate over who the best rock bands of all time are. Not everyone can make the list, but there are definitely some that have everyone else beat. Here are some of the greatest rock bands of all time, having beaten out the rest of when it comes to how they changed the face of music and their legacy. When it comes to rock, Aerosmith did their part in bringing the musical genre to their knees with their 1973 self-titled album. Even though the band it self had a tumultuous history, with the highest of highs and the truly lowest of lows, Dream On is still a power ballad that can bring goose pimples to anyone who listens. 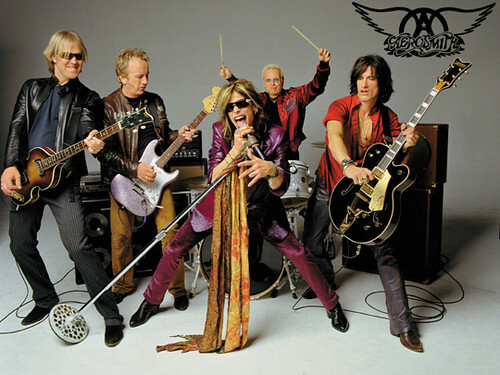 Unlike most bands that peaked during their heyday, Aerosmith kept playing well into the 2000s, despite their aging band members.